Paul Weiss Rifkind Wharton & Garrison chairman Brad Karp talks to The Lawyer about what law firm leaders can learn from the crisis. In many respects, the financial crisis feels like a lifetime ago; in others, it feels like just yesterday‎. The economic upheaval brought about by the crisis created secular change, the repercussions of which are still being felt every day. Iconic financial institutions disappeared overnight, including Merrill Lynch, Lehman Brothers, Bear Stearns, Wachovia, and Washington Mutual, among several others. Once venerable law firms collapsed, most notably, Dewey LeBoeuf. Sweeping regulatory reforms — from Dodd-Frank to the Basel Accords — ushered in heightened capital requirements, stress testing and capital planning, liquidity regulation, resolution authority, systemic risk monitoring across jurisdictions, and marked the end of proprietary trading. Banks today manage risk more rigorously. They have far more capital and liquid assets — and far less leverage — than they did entering the crisis‎. And the financial system is far more resilient and stable than it was a decade ago. The financial crisis also triggered a tsunami of enforcement and regulatory activity, which was unprecedented in both its scope and intensity. The past decade saw literally thousands of investigations and lawsuits targeting financial institutions, brought by dozens of enforcement agencies and regulators around the globe, many of which were created directly as a result of the financial crisis. Financial institutions paid more than $300 billion in fines and penalties, as enforcement agencies and regulators competed ruthlessly to be seen as the toughest and most draconian. Private litigation, too, exploded, largely in reaction to the output of this investigative frenzy. Predictably, the legal market shifted dramatically over the past decade. The gap between the elite law firms and the next tier widened significantly. Work on bet-the-company, franchise-threatening matters was handled by a handful of leading firms, stocked with the requisite talent, experience and expertise to take on these matters. As the stakes rose, so, too, did the flight to quality. Competition for talent intensified and compensation for stars increased. Partner and client loyalty eroded. Marquee partners and blue-chip clients suddenly were “in play.” Pricing pressure intensified. Overcapacity became prevalent. Partner de-equitizations became commonplace. Entire practice areas were wiped out. As we peer into the future, we continue to see great uncertainty. Today, however, that uncertainty is more geopolitical than economic. As the world’s economic prospects have improved, and as the risk of a financial meltdown have diminished, geopolitical concerns have escalated. The nuclear intentions and capabilities of North Korea are unclear. The Unites States/China/Russia dynamic is uncertain and uneasy. The Middle East remains confounding. The impact of Brexit on Great Britain and the EU is unsettled. And the US is dealing with intense political turmoil and a new political order. The financial crisis is a stark reminder that nothing is guaranteed. Viewed through the law firm prism, clients, practice areas, and even partnership itself cannot be taken for granted. Relationships between clients and law firms, and between law firms and partners, have become more bottom-line oriented and increasingly transactional — trends that will only accelerate in the future. Law firms need to return to basics. They need to realistically appraise their strengths and invest wisely in those areas where they can claim credibly to be market leaders. Law firms need to avoid dabbling in esoteric practice areas and far-flung jurisdictions. They need to focus on talent, client service and culture. Law firms need to return to basics. They need to realistically appraise their strengths and invest wisely in those areas where they can claim credibly to be market leaders. Law firms need to avoid dabbling in esoteric practice areas and far-flung jurisdictions. They need to focus on talent, client service and culture. Today’s uncertainty, like the financial crisis of the past decade, creates risk. And risk presents both challenges and opportunities. Law firms need to manage the challenges smartly and seize the opportunities strategically. Expect continued law firm consolidation. Expect law firm failures. Expect client and partner movement. Expect excruciating pricing pressure. Expect technological advances that will fundamentally change the way legal services are delivered. If nothing else, the financial crisis taught law firm leaders, like myself, to expect the unexpected and to always be prepared. 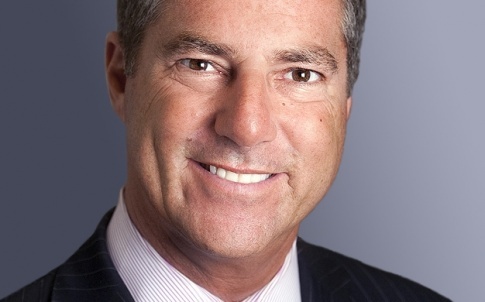 Brad Karp is the chairman of Paul Weiss Rifkind Wharton & Garrison. Read more of The Lawyer’s coverage of the global financial crisis, 10 years on, here. The post Brad Karp: Law firm leaders should expect the unexpected appeared first on The Lawyer | Legal News and Jobs | Advancing the business of law.